Poole-based Fluvial Innovations has announced that Her Majesty The Queen has selected the firm as winner of the Queen’s Award for Enterprise for Innovation. Fluvial Innovations has been awarded the prestigious accolade for the development of its flood defence system, Floodstop, which protects properties against the cost and misery which arises from flooding. Designed as a cost-effective alternative to sandbags, the Floodstop flood barrier was the brainchild of founder and director of Fluvial Innovations, Simon Phelps, while he was studying for a degree in computer-aided product design at Bournemouth University. On graduating in 2005, he initially worked alongside Bournemouth University to commercialise the patented technology and also spent six months studying entrepreneurship in the USA as a Kauffman Global Scholar. From launching the product in 2008, Floodstop has since been sold throughout the world protecting private households, businesses, governmental bodies and vital infrastructures. Its prestigious client list includes nuclear sites, San Francisco public utilities, The UK Environment Agency, Coca Cola, Warsaw Metro, The National Trust and The RAF. The modular flood barrier has proved an effective and re-useable solution to sandbags and can be rapidly assembled by one person. 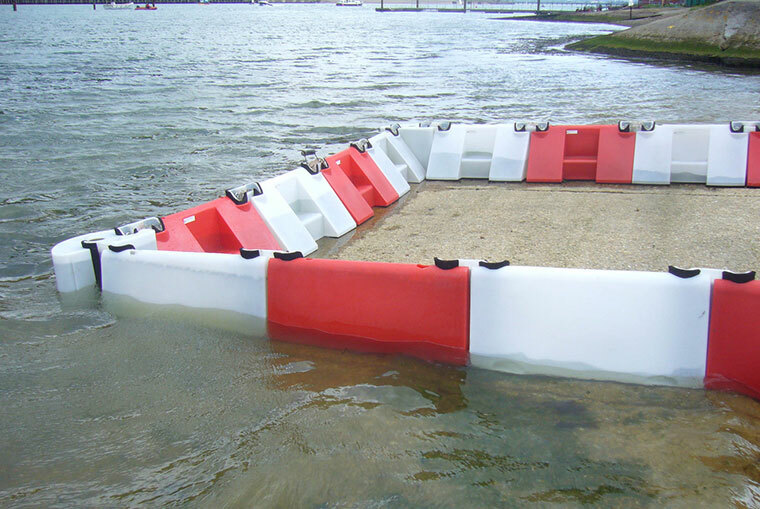 The barrier works as a series of interlocking plastic units which self-fill with flood water and, together with interlocking keys, secure it to the ground so it can withstand water flow. Although specifically a British recognition, the Queen’s Award for Enterprise is known globally as a mark of excellence. It is given to forward-thinking UK businesses that excel at innovation, sustainable development or international trade and is the highest official UK award for British companies. In winning this award Fluvial Innovations joins a very select band of elite UK companies across all industries.